When Pittsburgh native Amber Kensington moves to the Texas Gulf coast to take a job, hurricane season is the last thing on her mind. That is until a massive storm named Ike appears, destined to make a direct hit just miles from her apartment. Evacuation is the answer, but what happens when your car won’t cooperate? Alex Clarke has seen his share of tropical weather, but it never gets any easier. A childhood experience with lightning has left him fearful of storms. Still, his greatest desire is to participate in his church’s outreach program and assist hurricane victims. Now he’s discovered his new neighbor is stranded. Can he convince her to go with him? 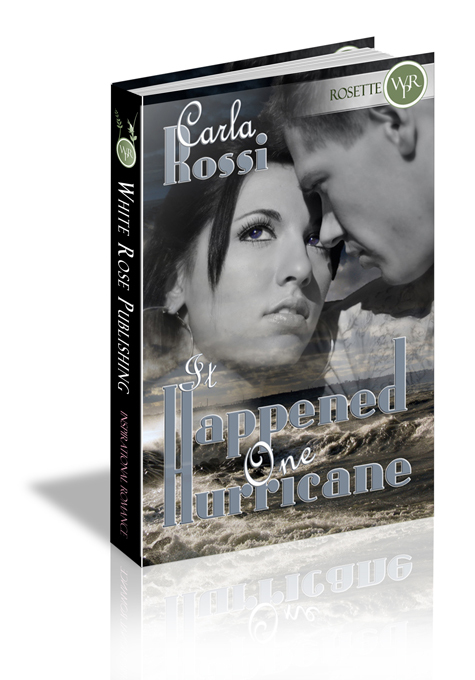 And can Amber and Alex find God’s comfort and healing despite the raging storm? Amber surveyed the contents of her trunk. Water, non-perishable snacks, batteries, flashlight, her beat up radio-slash-boom-box...isn’t that what the guy on the news said she needed? Overstuffed cars whizzed by her in the apartment complex parking lot. People she didn’t know waved, tooted their horns, and gave her the thumbs-up signal as if they were all heading en masse to the big game. Passers-by with jugs of drinking water urged her to fill her gas tank before the stations ran out. Like busy ants, her fellow residents made steady progress to and from their doors, carrying their life’s treasures and pausing to communicate best wishes to each other. After spotting her Pennsylvania license plate, some just smiled and told her she’d picked a horrible time to visit. Should she tell them she meant to come here, and took her new job because she always wanted to live near the water? Ah...hindsight. And with that, her old but usually reliable Corolla traveled about ten feet and sputtered to a stop. She turned the key again. It started. It sputtered. It stopped.